More than 87 percent of Time Transport’s fleet is now powered by compressed natural gas, or CNG. 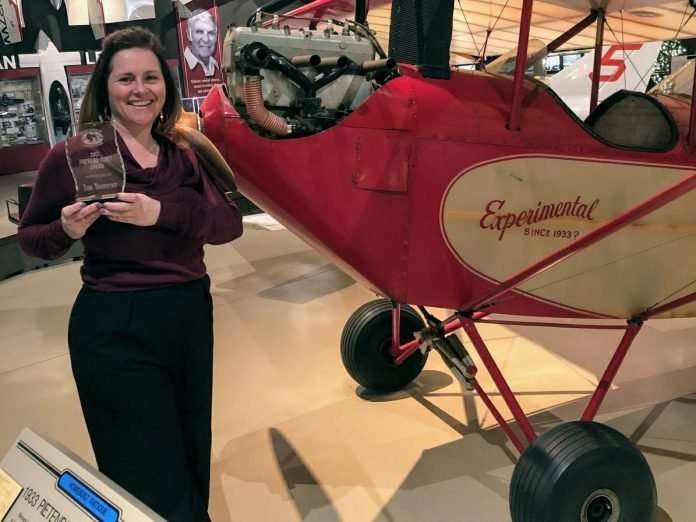 Lisa Morris, human resources and safety director for Time Transport, Inc. is pictured with the WCC Forward Fleet Award. Time Transport, Inc. was honored by Wisconsin Clean Cities (WCC) and MillerCoors for sustainable transportation efforts and delivery service efficiency in separate events last year. In December, Time Transport, Inc. received the Wisconsin Clean Cities Forward Fleet Award in recognition of the company’s use of alternative fuels and sustainable transportation options to reduce petroleum use. More than 87 percent of Time Transport’s fleet is now powered by compressed natural gas, or CNG. Of its 53 units, 46 are CNG-powered. The company is working to have 100 percent of its fleet CNG-powered very soon. 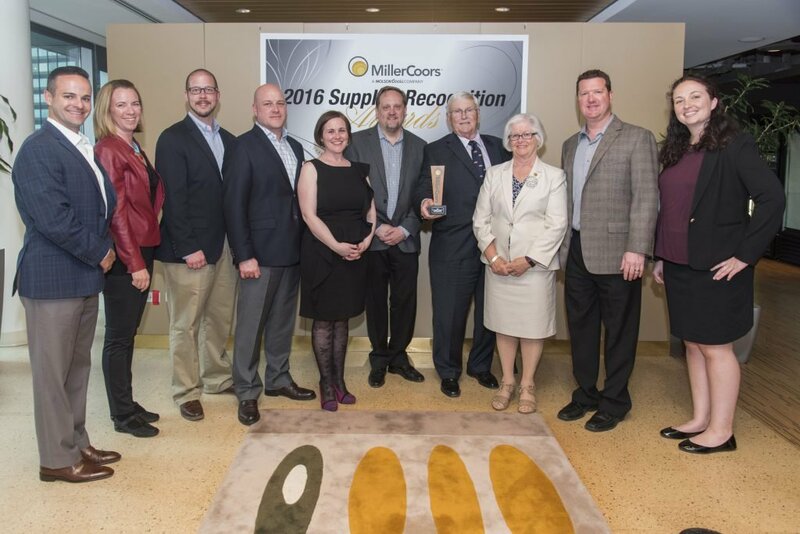 Time Transport in May 2017 received the 2016 Regional Logistics & Transportation Supplier of the Year Award from MillerCoors. Pictured are multiple officials from both MillerCoors and Time Transport, Inc. The award followed an analysis of metrics of contract transport service with a special emphasis on on-time pick-ups and deliveries. Time Transport, Inc. reported greater than 98 percent on-time service. 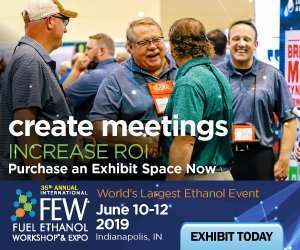 “Obviously we all think this is well deserved as the performance and metrics have proven that Time (Transport, Inc.) is the right choice for (the award),” Jake Kilgore, transportation manager for MillerCoors said.